This past Saturday marked my 10th anniversary in Hong Kong. 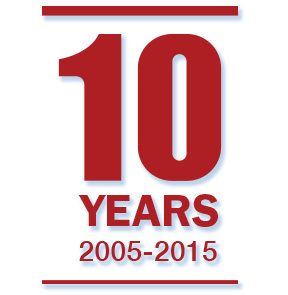 To be precise, it was the 10th anniversary of my repatriation to Hong Kong. I left the city in my teens as part of the diaspora which saw hundreds of thousands others fleeing from Communist rule ahead of the 1997 Handover. For nearly two decades, I moved from city to city in Europe and North America, never once returning to my birthplace in the interim. Until 2005. That summer, I turned in the keys to my Manhattan apartment, packed a suitcase, and headed east. On 25 July 2005, I boarded my flight, Continental Airlines CO99, at JKF Airport. My heavy carry-on bag was no match for my heavy heart. I never quite wrapped my head around why I decided to return to Hong Kong. Perhaps it was to rediscover my roots. Perhaps it was to find my true calling. Or perhaps it was just an impulse – the kind that makes a boy take apart his father’s watch or set off into the dark forest with a flashlight. Whatever it was, I had made my bed and now I had to lie in it. And lie I did, in the flat bed on the 15-hour transpacific flight. A short nap, two movies (Closer and Finding Neverland) and 12 time zones later, I was home. This sweaty, spastic, hyperventilating city was now my home. Well, not quite – at least not yet. My first impression of the city was like reading the first two parts of Gulliver’s Travels simultaneously. Hong Kong was a fusion of Lilliput and Brobdingnag, where things were both bigger and smaller than how I remembered them. Buildings were of course taller and shopping malls larger. 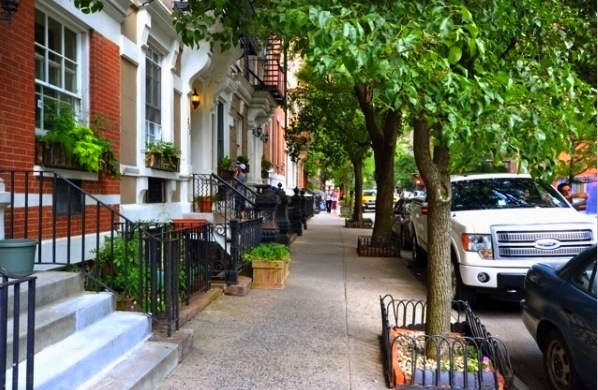 At the same time, the streets got narrower and the average apartment, the scourge of seven million minus the 1%, felt like a very expensive dollhouse. I made a point to visit my family’s old apartment in Tin Hau, the place where I spent my entire childhood with my parents and four siblings. I didn’t have the keys and so I followed someone into the building. For ventilation purposes, residents in old walkups often left their main doors open with the barred metal gates shut. So I was able to peek into one of the units the same size as ours, before being awash in old memories and new revelations. Among the mix of emotions was gratitude: how lucky that all seven of us were able to coexist in this shoebox without murdering each other. The first thing a newcomer to any city does is get a mobile number. That first night, I walked into Three Mobile in Causeway Bay and walked out with a number that started with a 6. All the 9 numbers were taken, according to the store clerk. It took me back to the time when I first arrived in New York and had to reluctantly accept a 646 mobile number after all the coveted 917s had run out. I took comfort in the sudden realization that big cities weren’t that different from each other after all. My first smartphone in Hong Kong was a Sony Ericsson Walkman phone that made calls and played music. It stored up to 80 MP3s and even had a 2-megapixel camera. I felt empowered – it was like having the world in my hands. Updating my address book, however, was an ego deflator. I keyed in my brother Kelvin’s number and that of his wife and perhaps three childhood friends. Those were all the people I knew in Hong Kong outside the office. Big cities have a way of making one feel anonymous, sometimes invisible. My Sony Ericsson wouldn’t let me forget that. For at least the first year or so, I would mentally divide every number by 8 (or 7.8 if I was up for an arithmetic challenge) to convert the Hong Kong dollar to USD. Cab fare from my apartment to the office was $32 at the time – that came to US$4 and was really quite reasonable. I would keep a list of things I needed to buy on my next family trip to Toronto and New York: toothpaste, dental floss, shampoo and other simple things that I could find in Hong Kong but that weren’t exactly the same as the ones I was used to. Then there were books and magazines – why are books and magazines so expensive here? On my annual “home leave,” I would bring an empty suitcase and come back with a year’s supply of reading material from Amazon.com. In December 2007, I opened a Facebook account at the urging of two summer interns visiting from California. I remember my first wall post was a picture taken at my housewarming party. I had just moved to a new apartment after my old lease had expired and my landlady had asked for a 30% rent hike. The party was well-attended – by then I had made enough friends to fill a respectful address book. Meeting people in Hong Kong turned out to be easier than I first thought, because everyone here seems to know each other and their third cousin. The three degrees of separation is both handy and frightening, depending on how one carries himself socially. Whatever regrettable things one says or does will come back and bite him in the rear within 48 hours. After getting myself burned a few times, I decided to make Polonius’ advice to “give thy thoughts no tongue” and “reserve thy judgment” Golden Rule No. 2 in my personal Hong Kong Survival Guide. I will come back to Rule No. 1 later. The rise of social media and the incestuous social circles have turned the already competitive megacity into a cage fight. For all its beauty and wonder, Hong Kong can be a miserable, even toxic, place. It didn’t take me long to realize that the toughest part about living here is neither a lack of space nor the high cost of living. It is peer comparison – the blood sport played by the middle and upper middle classes. It is bad enough to measure success by what one has: where he lives, how much money he makes and which schools his children attends. It is so much worse, and borderline pathological, to peg one’s self-worth to what other people have that he doesn’t: where his friends live, how much money his friends make and which schools his friends’ children attend. No wonder people look so stressed out and high-strung all the time – there is no slowing down on the hamster wheel as long as someone else has more, better things. And someone else always does. Refusing to play the game, I needed a change. Two years after my transfer to Hong Kong, I left my law firm and became an in-house counsel for a bank. The job gave me a more predictable timetable to explore the universe outside the endless cycle of paychecks and credit card bills, that self-defeating seesaw of making money and spending it on things I didn’t need and never wanted. Then, in November 2008, Barack Obama was elected the first African American president of the United States. I was so inspired by his acceptance speech in Chicago’s Grant Park that I finally did something I had put off doing for ages: I wrote my first blog entry. I began writing about politics because that’s what I love. Contrary to popular belief, local politics is anything but dull. There are so many proverbial elephants roaming in the city that the more I write the more there is for me to write about. Call it the butterfly effect or the law of unintended consequences, one thing soon led to another, and my blog grew into more than a bottle tossed into the ocean. Unbeknownst to me at the time, writing would take over my life and rescue me from an existential crisis. Time goes by like passing clouds in a time elapse video. But 10 years can also feel like a lifetime. My Manhattan apartment and all the friends and coworkers I left behind in New York are such distant memories that they now belong to the dusty pages of a biography set in a different place in a different time. Every now and then, the nagging question of why I decided to return to Hong Kong in the first place still pops into my head. 10 years on, I believe I am close to solving the mystery, and the answer lies in my puzzling reluctance to visit my hometown during all those years of bumming around overseas: I didn’t feel ready. There is something strangely human, even parental, about one’s birthplace; and there is something solemn, almost sacred, about one’s homecoming. For the longest time I was terrified of disappointing the place I loved with what little I had to show for. By 2005, nearly 20 years after I joined the diaspora, I finally felt I was ready. I had seen and experienced enough to come home to do my city proud, if only by a wee bit. A lot can and did change in a decade. Continental Airlines merged with United three years ago and no longer exists. Sony Ericsson was rebranded before getting decimated by the iPhone, which is now in its sixth generation. I got used to the toothpastes and shampoos local pharmacies carry and stopped stockpiling daily supplies from Wal-Mart and Costco. I still feel like Gulliver sometimes – the relativity of time and space will always confound me no matter how long I have lived here. If there is one thing I have learned about surviving Hong Kong, it is that I have to go against the grain and boldly go where no one bothers to go. For life is a funny thing: happiness and fulfillment often lie in places that look dim and unrewarding. That includes writing, a pursuit that few take up because it promises neither fortune nor fame. All that takes me back to Golden Rule No. 1 in my Hong Kong Survival Guide: “chase not thy own tail” and “play not the game everyone else plays.” Old good Polonius would agree. If I ever run into Jon on the streets of New York, I will shake his hand once again and tell him that things have worked out quite well for me in Hong Kong. I will tell him that this sweaty, spastic, hyperventilating city is now my home, and that it has probably always been. 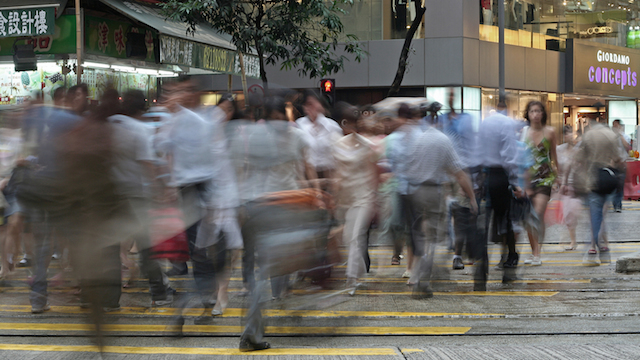 From personal to political – read Jason’s look back on how Hong Kong has changed in the past decade, for the better and for the worse, in part 2 of this article. 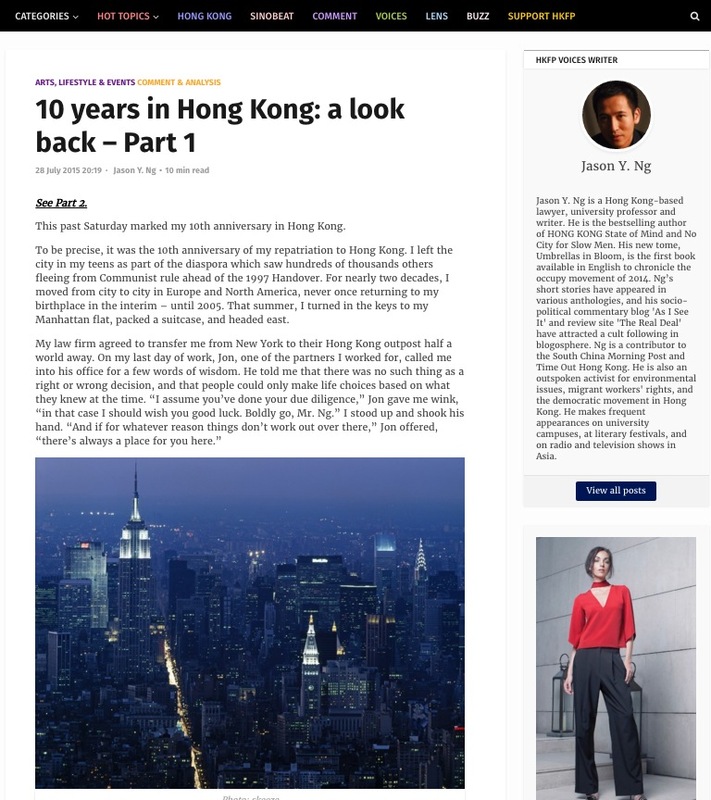 This article was published on Hong Kong Free Press under the title "10 years in Hong Kong: a look back - Part 1."